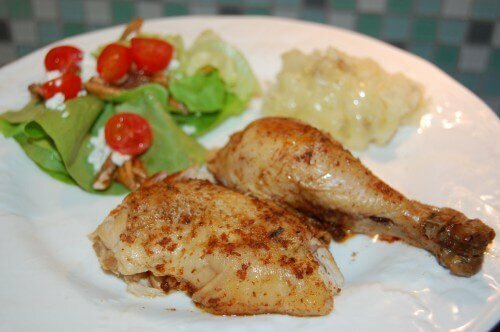 Cook for 4 – 5 hours (for a 3 or 4 pound chicken) or until the chicken is falling off the bone. Don’t forget to make your homemade stock with the leftover bones! Or even emulsify the juices and onions and you have a great gravy!